Unsightly cracks and potholes? Dreary color and texture? Storm water management concerns? 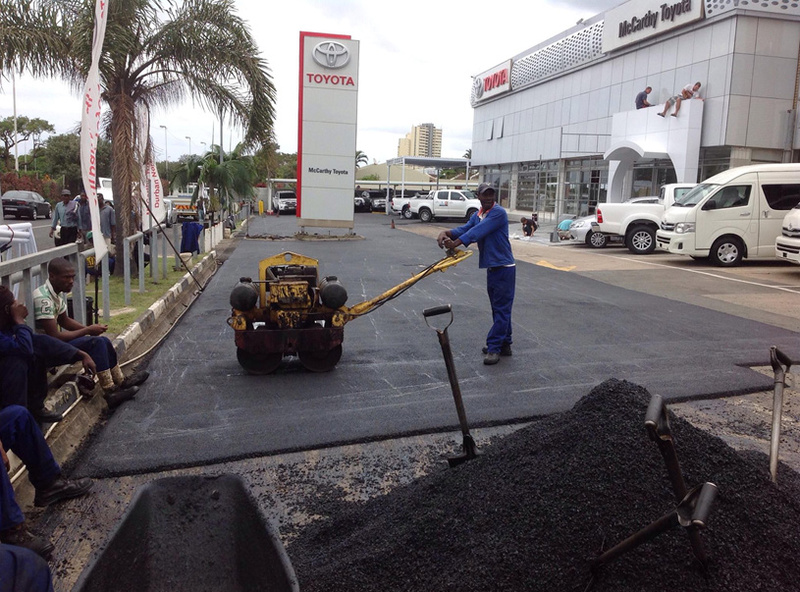 Trust Absolute Asphalt, experienced asphalt paving contractors in Durban, Kwa-Zulu Natal, to help you find the appropriate repair solutions to exceed your expectations. Storm water management and drainage. From helping you maintain the look of your asphalt parking lot to repaving and installing a brand new asphalt surface, Absolute Asphalt has the expertise to help you.With years of asphalt paving experience, from Commercial to Residential, we are your local source for all of your asphalt paving needs. Offering professional paving services from the Southcoast to the Northcoast, as far as Bothas Hill.